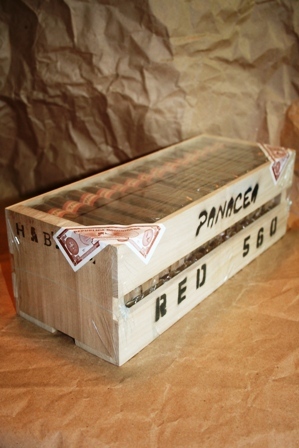 Our Red label cigars will be stronger than our Black label blends. This Red label is a Habano/Maduro and part of our Grande line. All Grande styles have the "tribal" looking label and come in LARGE sizes. A Brazilian Maduro wrapper with a Dominican Habano binder. 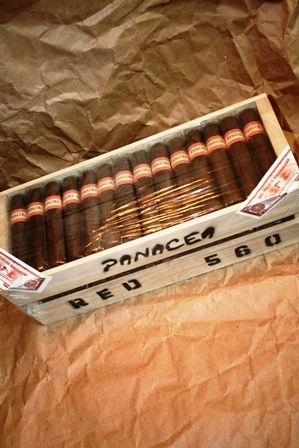 The interior is Seco Cubano, Ligero Piloto Cubano, Ligero Olor Dominicano, and Ligero Nicaragua. 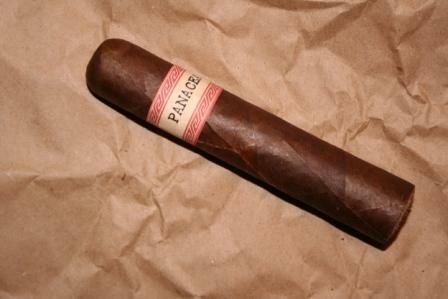 The blend gives you a stronger PANACEA cigar, but maintains the smooth balance we are known for. No bite, no harshness. A full body, medium-strong in the strength department. Mellow enough to enjoy mid-day, but can stand up to a steak dinner too. 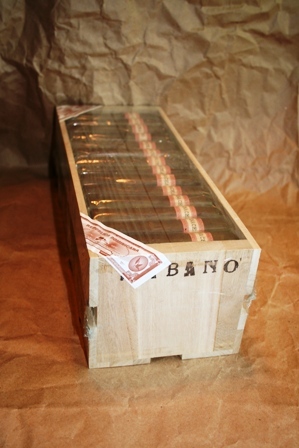 These go fast, so get a crate-load of 70 cigars.